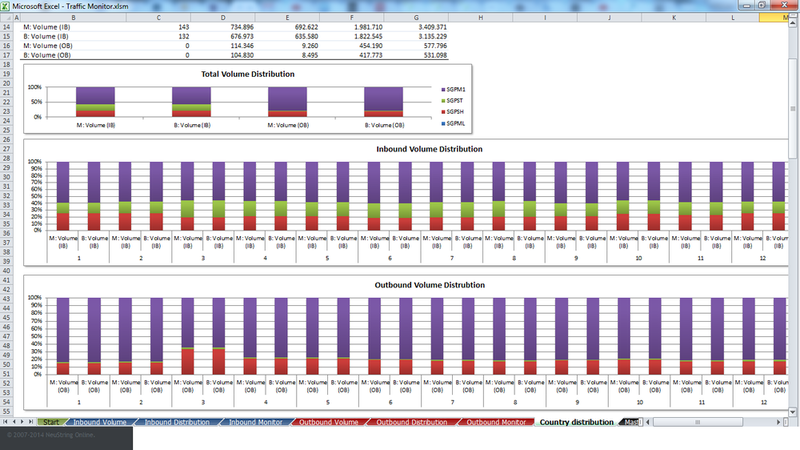 to make fast and qualified decisions, resulting in quantified margin improvements of between 5% and 22%. The NeuString application portfolio helps identify problem areas, potential improvements and allows users to test the impact of such activities - including the direct effect and the potential indirect effect coming from reciprocal actions by roaming partners. Users get access to a variety of parameters used in the roaming business, including testing the impact of changing IOT’s, implementing multiple IOT’s, changing discount agreements and using traffic steering. The application runs on actual roaming traffic data (TAP files), includes accurate and detailed information about actual roaming partner charges, discount agreements and forecasts (expected changes to usage behavior), and supports inbound and outbound traffic, as well as all available service types, incl. voice, video, SMS and data. We strive to enable Mobile Operators to compete on analytics, applying Predictive Analytics and visualing data to create a competitive advantage. We use big data - with a purpose. Immediate financial impact result of any change, even if the database contains tens of billions of records, and the system handles multiple networks separately or combined. In addition to investigating the financial impact, NeuString also adds other benefits such as in-depth evaluation of the current situation, impact of regulatory decisions and consequences from mergers and acquisitions, i.e. the financial consequences of shifting volumes from one partner to another based on a new and more favorable discount structure. The mobile roaming market has been evolving over the last few years to be more competitive and margins may be difficult to maintain. Through a close dialogue with many operators throughout the world, NeuString has a broad understanding of the challenges being faced in the market. 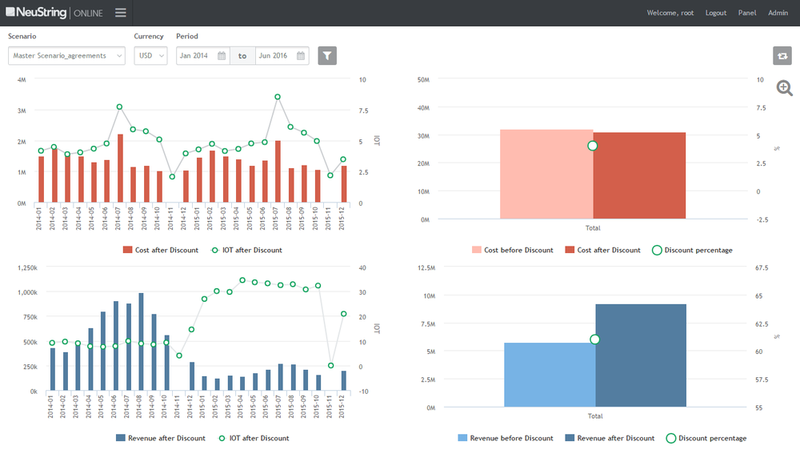 NeuString enables you to get in touch with your business by visualizing the data - and through intuitive user interface get in the data you need in a timely fashion. It’s increasingly tough to deliver bottom line growth as mobile subscriber plans and tariffs come under ever more pressure: markets are saturating, growth is lower and the fight for new customers becomes brutal. The most successful operators are those who can keep existing subscribers happy while attracting new customers and who can maximize margins at the same time.